(April 11, 2019 / JNS) The Israeli spacecraft “Beresheet” prepared to make history on Thursday night, making Israel the fourth country on the planet to have landed a spacecraft on the Moon. “Beresheet,” named after the first word and the first book in the Torah (meaning “in the beginning”), lifted off from Cape Canaveral on Feb. 22. and has almost completed its 6.5 million kilometer journey to the lunar surface. It has already succeeded in entering the moon’s orbit, which is an accomplishment achieved by only seven countries. At approximately 10:30 p.m., Israel will be televising a live broadcast of “Beresheet” as it attempts to land on the Mare Serenitatis, the Sea of Serenity region of the moon. If triumphant, it will plant an Israeli flag on the lunar surface, along with a digital time capsule that includes the Tanach/Bible; a copy of Israel’s Declaration of Independence and its national anthem, “Hatikvah”; a copy of the Prayer for Travelers; numerous Israeli songs and books; photos of Israel and leading Israeli cultural figures; dictionaries in 27 languages and encyclopedias; information about Israeli scientific and technological discoveries that have changed the world; and a children’s book inspired by SpaceIL’s mission to the moon. “Beresheet” successfully shifted from a circular orbit of the moon into an elliptical orbit on Wednesday, its last pre-landing maneuver prior to the descent phases. The spacecraft is a project of Space IL, started eight years ago when its co-founders attempted to win the Google Lunar XPRIZE challenge by being the first private team to land a robotic spacecraft on the moon, travel 500 meters, and transmit back to Earth high-definition video and images. The contest ended in March 2018 with no winner. 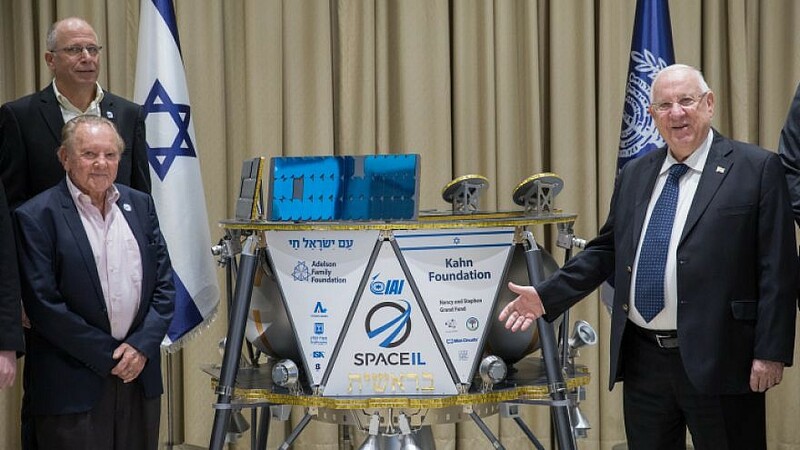 However, SpaceIL’s implementers Yariv Bash, Kfir Damari and Yehonatan Weintraub pressed on, acquiring the backing of multiple donors, including Canadian billionaire Morris Kahn. When “Beresheet” lands on the moon, it will take photographs, as well as measure the moon’s magnetic field for an experiment underway at the Weizmann Institute of Science in Rehovot. SpaceIL’s effort is being assisted by NASA. Only the United States, Russia and China have landed crafts on the moon, with India working on it. 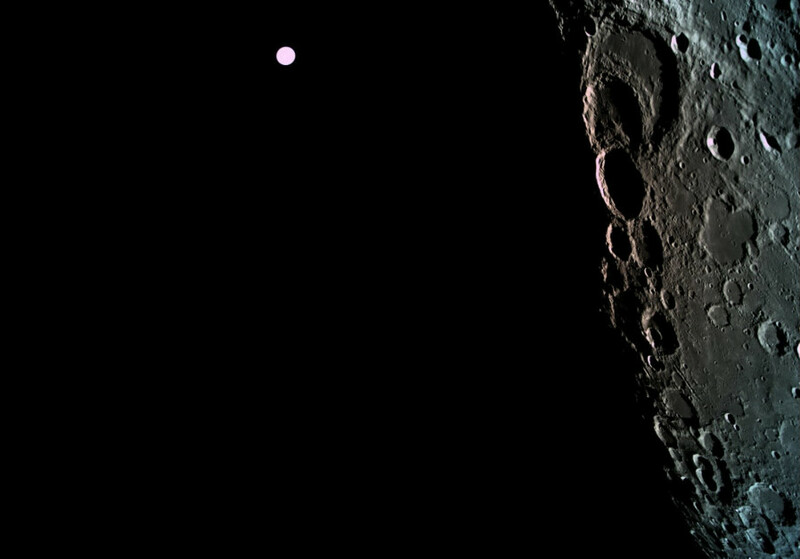 “Beresheet” will be the smallest spacecraft to land on the moon, at just 4.9 feet tall and 6.56 feet wide, weighing 1,323 pounds—75 percent of which is fuel. On the outside, it features the names of its makers and sponsors, an Israeli flag, and the words “Am Yisrael Chai” (“the People of Israel lives”). The mission budget of less than $98 million is significantly less than any of the other countries attempting to reach the moon. Those interested in the watching the milestone are encouraged to tune in (www.contactgbs.com/space/) for a live broadcast from the SpaceIL control room.